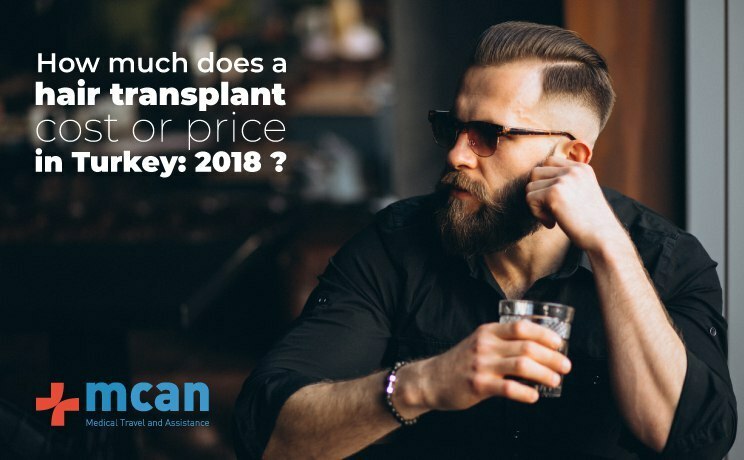 How much does a hair transplant cost or price in Turkey: 2018? The cost of hair transplant is one of the most frequently asked questions by those who are planning to have a hair transplant in Turkey or anywhere else. Just search, for instance; “cost of hair transplant in Turkey”, in Google and you will see that there so many different offers trying to get your attention. Some are overpriced and some are underpriced, or even too cheap to make you doubt about the price for hair transplantation in Turkey. Check this news to see even the expensive ones may not result well enough. In what conditions do providers calculate the cost of hair transplant in Turkey? Why is there such big differences in hair transplant prices in Turkey and in Europe? There are different methods of hair transplantation in Turkey such as FUT, FUE, DHI, Percutaneous and etc. FUT has become an obsolete method after FUE showed up. FUE Hair Transplant in Turkey is known as the most popular hair transplant method for a while. The results are very natural with FUE and the application is easier than FUT. There is also DHI which is known as “the hair transplant with no shave” as an alternative method. As the methods change, also the prices change. FUE is a standard now and many offers you got are most probably FUE. For DHI, the prices can get higher because there are pens that need to be used during the procedure which affects the pricing. Cost of hair transplant differs because the tools used in these methods are not the same. So, it can be said that at first the expenses are getting higher and naturally it affects the hair transplant cost in Turkey or anywhere else. This factor creates a big difference between hair transplant in Turkey and other countries. In Turkey, most of the clinics offer the maximum number of grafts in one session for a fixed price. 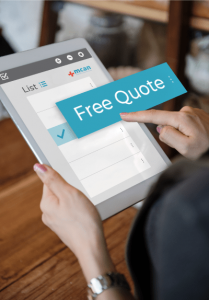 However, for instance, in the United Kingdom, the clinics calculate the cost of hair transplant according to the number of grafts planned to be transplanted. The reason for this difference is actually not about the expenses as it is in methods of hair transplant. Either you go with FUT, FUE or DHI, the number of grafts does not add any extra expenses to the clinic. Eventually, it basically means that the more hair you lost, the more you need to pay to get it back. As MCAN Health, our first priority is the patients’ satisfaction as we emphasize how the result will affect them. Thus, either it is 5000 grafts or 2000 grafts in one session based on your donor area and your receding and balding parts, we demand a fixed price. This is not about the quality or the expenses but our way of calculating the cost of hair transplant in Turkey. Apart from the hair transplant price, nothing is different in the application either you get a hair transplant in Turkey or in Europe. The quality of service must be the most important factor for those who are trying to decide for a hair transplant in Turkey. There are always bad apples in every business so hair transplantation is no exception. There are illegal so-called “clinics” in Turkey which will try to get your attention by giving you very cheap offers and insisting that everything will be safe and sound. It sounds very preferable but when you arrive for your hair transplant in Turkey, you will find yourself not in a clinic but in a strange apartment flat without hygiene, safety, and even without an experienced hair transplant surgeon. You can imagine how riskful would it be. So, always consider that to welcome and operate the patients in a suitable, legal and accredited by MoH (Ministry of Health) Clinic, the hair transplant provider should add these most basic needs (a proper operating room, hygiene, safety, experienced hair transplant surgeons) to the expenses. Naturally, it increases the cost of hair transplant in Turkey. Also, please be informed about the new governmental intervention in hair transplant in Turkey. The Turkish Ministry of Health obliges all the medical travel companies and providers to meet the standard regulations set for the quality of service. Those who can pass the regulations get the accreditation by the Ministry of Health which can be seen as a sign for the excellent quality of hair transplant in Turkey. As MCAN Health, we are quite proud to be the first company with this accreditation. If you get your hair transplantation in your home country, then you will only pay for the operation itself. However, if you are planning to have a hair transplant in Turkey or abroad, you need to pay for more. Most probably it will be your first time in Turkey and you will need assistance to have a smooth trip and treatment. First, you will need somewhere to stay. Thus, we arrange hotels and book your room for you. The quality of hotels (5-star or 4-star) is one of the factors that increase or reduce the hair transplant cost in Turkey. Then, you will need transfers from and to the airport, hotel, and hospital. We are using luxury and comfortable vehicles to make you feel good as we know that having a treatment in a foreign country may cause a lot of stress. Briefly, there are different kinds of packages for different kinds of preferences. Okay, your hair transplant is done and is it all done? Well, it depends. There are a few supportive treatments which will help you a lot after the hair transplantation. One is PRP Treatment. It is not a hair transplantation method or anything but a treatment which enhances the hair growth after the grafts are transplanted. Your blood is taken and processed in a way that makes it plasma rich. Then, the processed blood is injected to the scalp which will aid the area and blood circulation. It is normally a paid treatment and you will most probably pay an extra for this. As MCAN Health, we also provide a free PRP Treatment after your hair transplant in Turkey. The medicine used in PRP is the patient’s own blood and we prefer to apply it without changing the cost of hair transplant in Turkey. Also, there are supportive lotions and shampoos that you can use after the hair transplantation. They are also paid products and help you to recover in the best way. Thus, if you prefer to use them, you need to pay more. MCAN Health also sells such products but not after your hair transplant in Turkey. After the hair transplantation, the products will be given as presents to you to have the best recovery possible. Unlike other providers, there will be no change in the cost of hair transplant in Turkey. -The highest price does not mean the best treatment (Remember the example in the beginning). -The lowest price means that there is something riskful ahead of you. -If you are planning to have a hair transplant in Turkey, you should ask for Ministry of Health Accreditation to be sure you are in safe hands. -Try to have a complete picture of the treatment you will get, search for reviews, results, and doctors in detail before deciding. Mcan are very efficient and reliable . To evaluate I have received very good results from the two sessions I have had with them. Thanks to the staff at Mcan.